With shooting season fast approaching I wanted to take a look at the species of Pheasant common in England today. 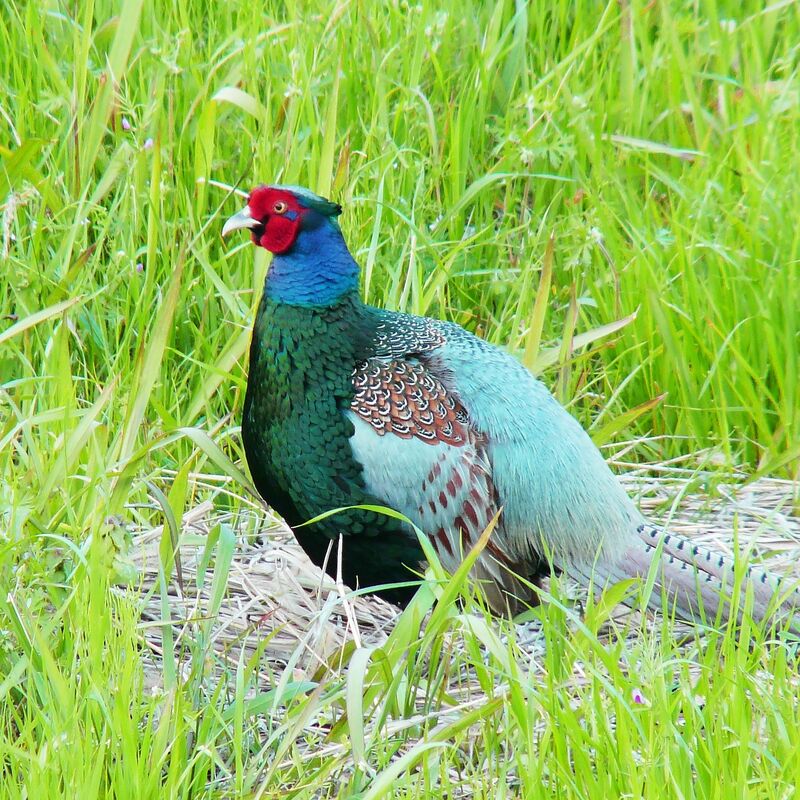 There are four true species of pheasant in the UK three of these are varieties of Phasianinus colchicus, and the 4th the Japanese Pheasant from Phasianus versicolor. 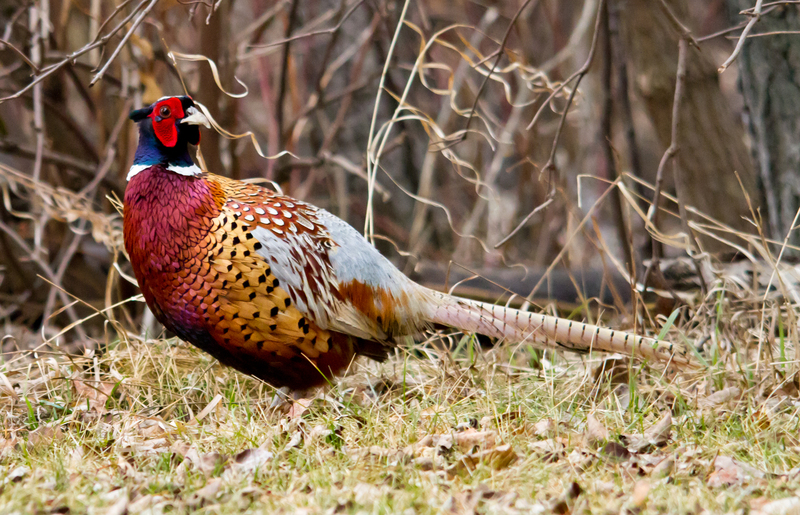 The Black Neck, Common or Old English Pheasant originated from west of the Caspian Sea, it what is now North Turkey. These are typically fairly large. The Chinese Ring Neck Pheasant (Phasianus colchicus torquatus) is much smaller than the Common Pheasant. Originally from South-East China it is lighter in colour with pale wings, it was released into the UK around 200 years ago. 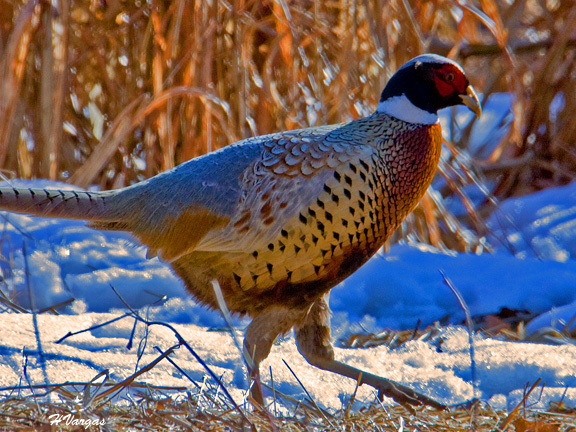 There is a nice video available here on the Ring Necked Pheasant. 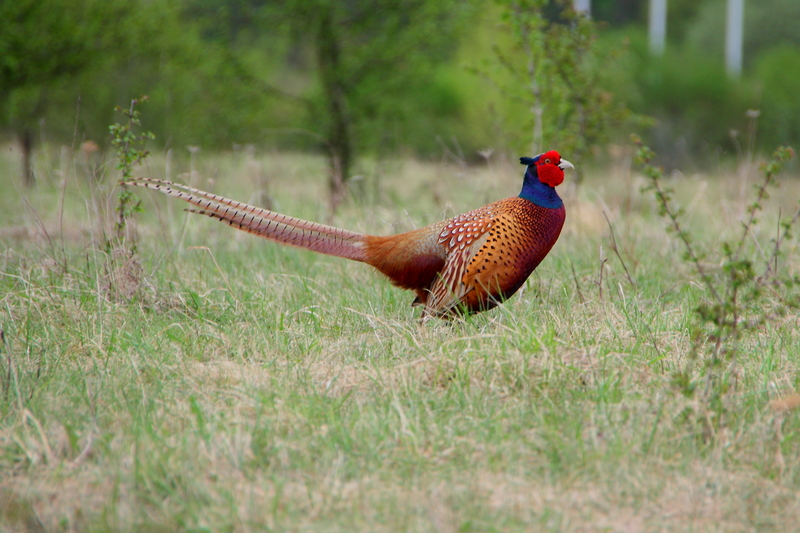 The male of this pheasant varies greatly in length according to the development of the tail, sometimes being 36 in. in length; the female averages about 22 in. and is plain colored, but still a very handsome bird. Males vary greatly in the richness of their colors, and in the width of the white collar on the neck. Phasianus versicolour is native to the Japan. The male has dark green feathers on the breast and mantle. The male also has an iridescent violet neck, red bare facial skin and purplish green tail. The female is smaller than the male and has plumage ranging from light brown with dark spots to an all over dark brown. Green pheasant males on average have a shorter tail than the common pheasant and have darker plumage that is uniformly bottle-green on the breast and belly; they always lack a neck ring.